Favourite Views was an exercise carried out with participants who were asked to photograph their favourite views. The images were then made into postcard packs and given to participants. The places from which the photographs were taken were mapped and incorporated into the work. 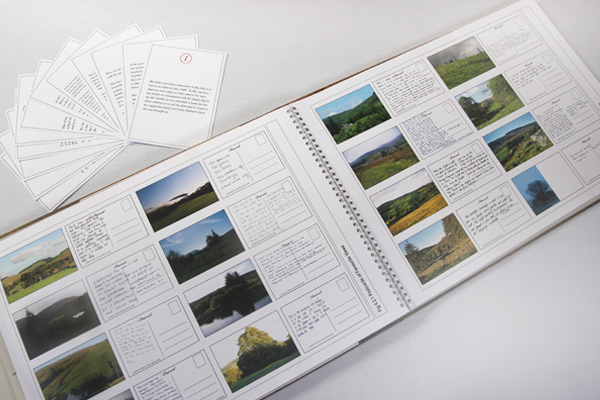 Image shows favourite views postcard in the Missing Chapter together with Significant Places cards.